Greetings Quick Quotes friends and fellow crafters. 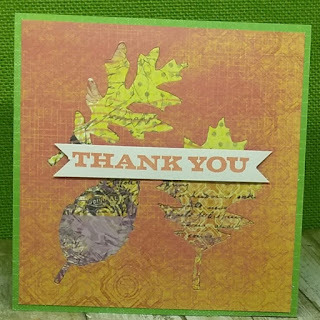 LeeAnn here with a Fall Thank You card that I made for my sister in law for having us for Thanksgiving dinner. Granted we do live across the street from each other and eat together at least once a week, but she loves to cook and I love to craft. Works for us. Anyway... 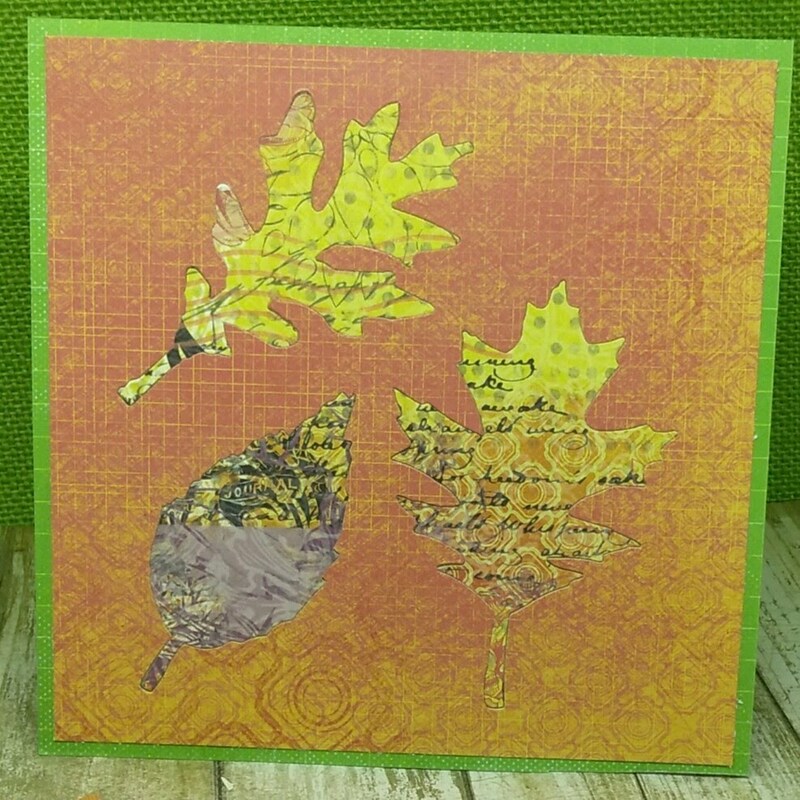 Using paper from the Sonata paper pack, I found this sheet lent itself greatly to fall colors. 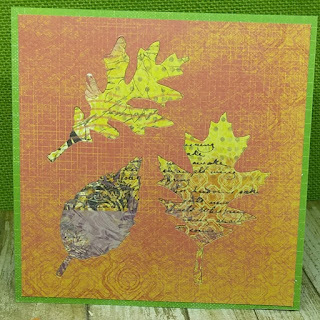 Using a Tim Holtz leaf die I ran it through my Big Shot and cut the fall leaves twice once to get the initial leaves and again in a page with the paper turned the other way so I could reverse the leaves from the original side they were from. This was then adhered to a piece of paper from the Serenade paper pack since it did have that green color on one side that I love to see. Not only with green being my favorite color but also because we are in Florida and that is what we see most of the time. 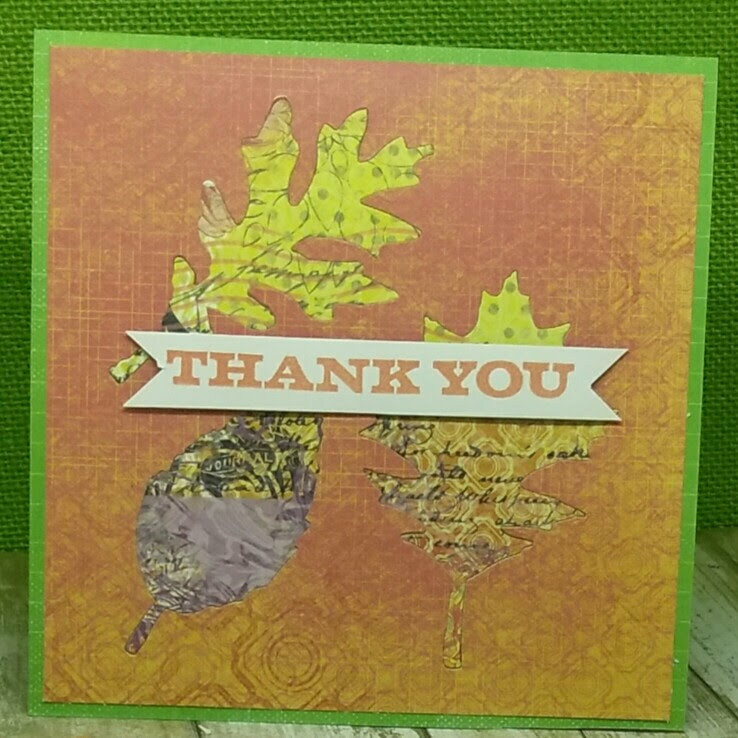 Using Sunset Powderpuff Chalking Ink I stamped out the word Thank You on a piece of Windsong, I cut the ends into a banner and adhered it to the front of the card with foam tape to add dimension. I hope you have enjoyed my project today. I hope everyone reading this post had a great Thanksgiving with their families and will have a Happy Holiday season to come.